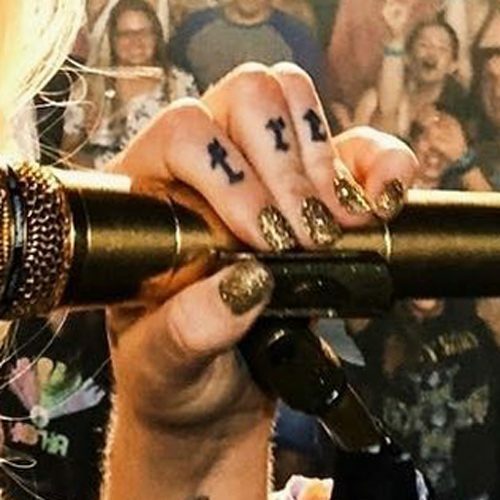 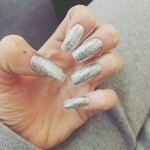 Kesha wore sparkling gold manicure in concert. 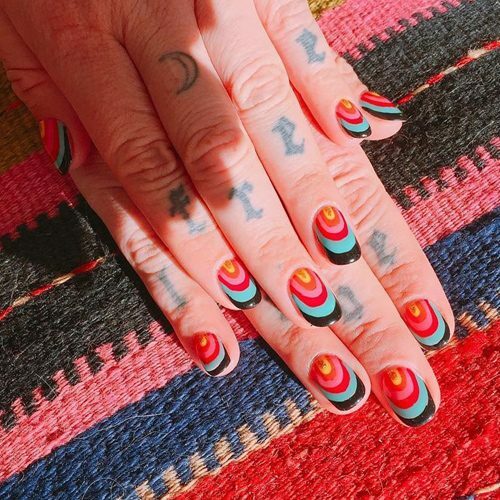 Kesha admitted she is addicted with rainbow manicure and she does not hesitate to wear it every time she has the chance. 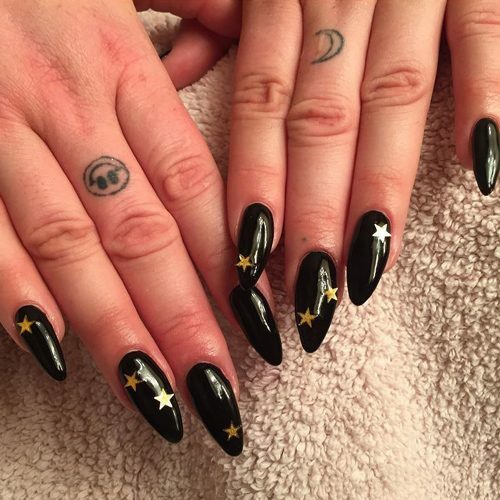 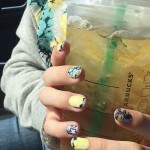 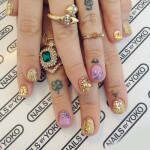 Kesha long black nails decorated with golden stars stickers were custom made for her “Hymn” music video. 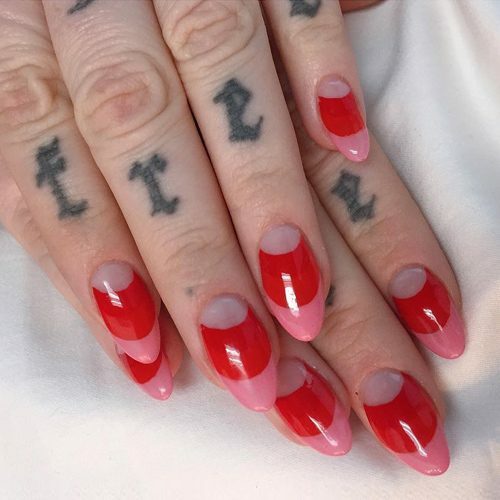 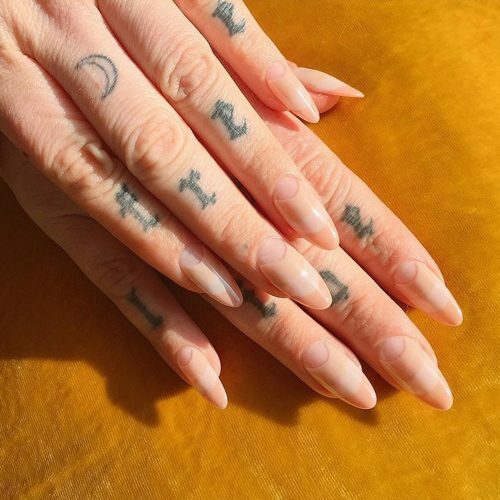 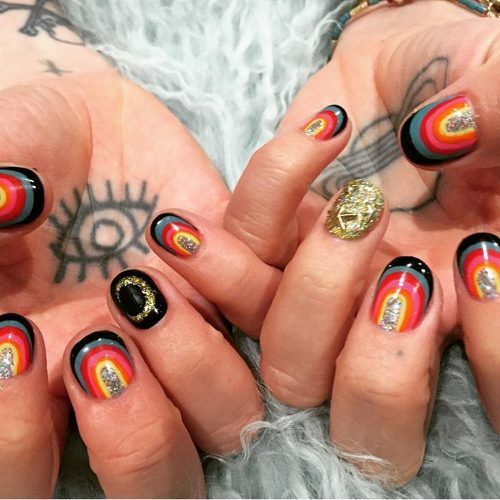 Kesha had rainbow tips on her clear nails. 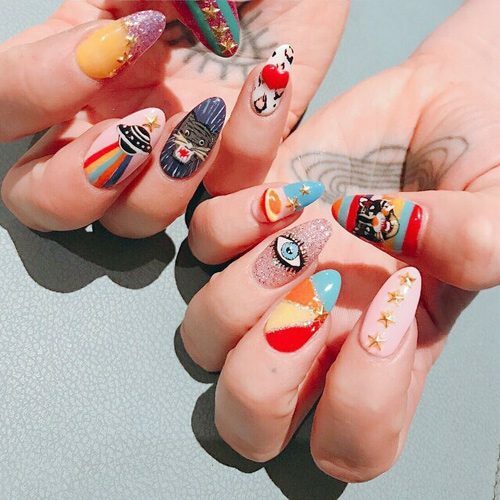 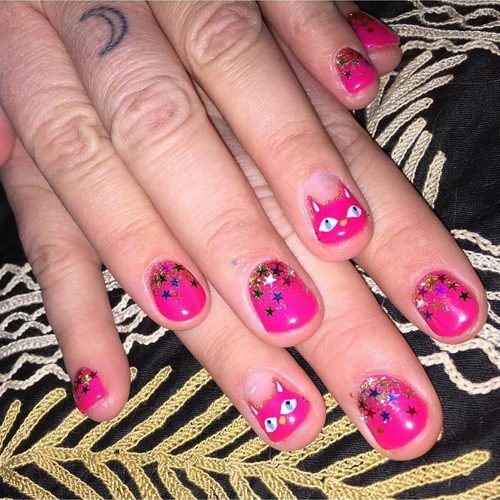 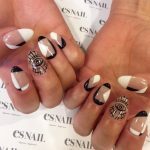 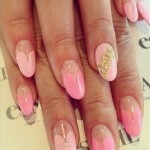 Kesha had a cat themed manicure done by Miho Okawara. 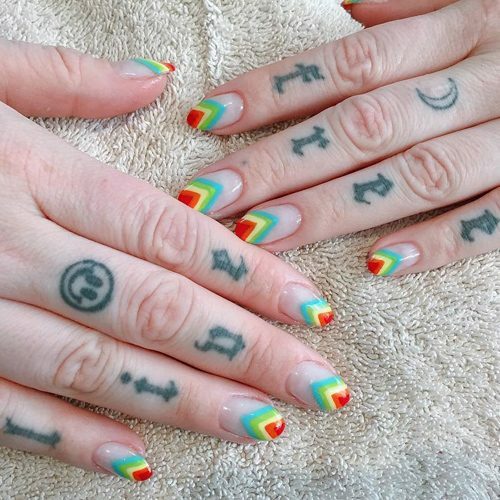 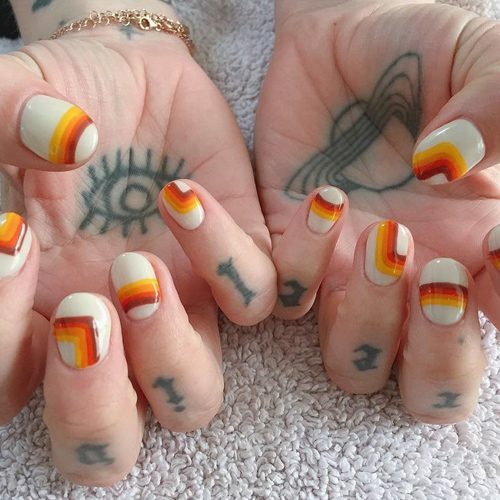 Kesha wearing a new rainbow manicure.